Combining years of experience with a dedication to client satisfaction, Outside Unlimited, LLC has established itself as the local leader in Stump Removal, Tree Trimming and Tree Removal. Family operated for over 34 years in South Florida offering full residential and commercial tree trimming, firewood and landscaping service. We strive to provide you with quality service at competitive prices. We guarantee customer satisfaction. We are fully licensed and insured, serving Broward, Palm Beach & Dade county. Fred Stevens Tree Company offers insurance coverage so you are fully protected. 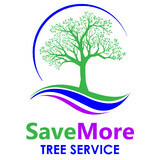 Our experienced Tree Service staff includes professional tree climbers and ground people. We make sure your property is clean and free of debris after our work is complete. The Fred Stevens Tree Company specializes in making dreams and expectations a reality. And our Landscaping Service offers you a beautiful lawn and garden that enhances your home as well as your community while adding value to your property. We provide a full service maintenance system to keep your lawn and garden looking its best year round. We also cover both Residential and Commercial accounts. Plus If you could only say one thing about Fred Stevens, It would have to be this- He knows Firewood. The Family version of the firewood business is decidedly more visionary, with wife,son, and daughter and now son-in-law helping along with employees. Fred currently covers areas through Broward, Dade, and Palm Beach County. Fred uses his own product when the weather warrants it, but would be hard pressed to pick a favorite. Your Pompano Beach, FL tree service professional or arborist might work in conjunction with another landscape professional to create a seamless landscape design. Here are some related professionals and vendors to complement the work of tree services: Landscape Contractors, Landscape Architects & Landscape Designers, Garden & Landscape Supplies. Find tree service professionals on Houzz. 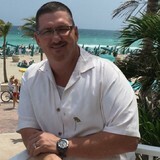 Look in the Professionals section under Pompano Beach, FL tree services. You can look through portfolios and read reviews to see what past tree care clients have to say.